*Please be aware that this is a “reduced smelling strain” and not completely smell free. 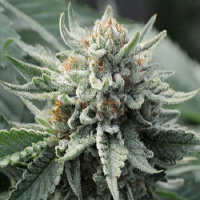 HYBRID X Feminised Marijuana Seeds by Cream of The Crop Seeds: HYBRID X A secret, unique project kept separate from all other work at COTC until now!! After much isolation and backcrossing the “non-smelly” pheno in a mother and father N.L was drilled down to perfection. These became the parents of a Hybrid N.L that is virtually stink-free during veg and only exudes a subtle floral aroma during flowering…providing you don’t disturb her too much and keep temperatures to a realistic minimum. 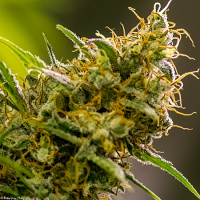 She’s a typical Indica with a gentle, light citrus/sweet floral taste and heavy couch-lock effect but with the special added bonus of greatly reduced smell whilst growing…. …THIS ONES QUIETLY CONFIDENT!!!! *Please be aware that this is a “reduced smelling strain” and not completely smell free.